Do you see an octopus and three little pigs that fly? Casting a spell on a bandit and his thirty five snails? Playing chess with the young daughter of a farmer? Is it raining donuts and chocolates from the skies? Did lightning burn the bridge between heaven and hell? Are the angels of outer space feeling unwell? You don’t see anything? Have you got your glasses on? Wait a minute. Have I been talking to a grown-up all along? Dear Frank, The style of magic realism is awesome. Anand Bose from Kerala. You have quite the imagination to inspire this adult to see through the eyes of my inner-child. You only as old as you feel and nurturing the child in you will help keep you grounded…pun intended. This reminded me of The Little Prince by Antoine de Saint- exupery. Frank, I recently nominated you for the Versatile Blogger Award. I know you are an award free blog, and that is okay. I just want to you to know you and your blog is appreciated, and to add the link for others to see The Child in You. God loves you! A beautifully innocent piece … keep that inner child alive and well! That knight in dark armour is coming my way! The child in me is 5 and still likes Dr. Seuss. 😂 Regardless, great writing Frank!! 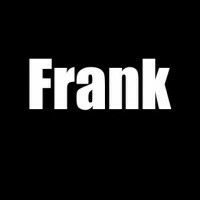 Count me in Frank. I am just a youngin’ with an old body. I really enjoyed this one. Cloud watching is my favorite sport! Ahh …, Frank. I love your fun and reflective poem. It really has me smiling big. May we never lose the child within. So clever and so bloody true. Huh adults, who needs them. Cute poetry. It’s important to never let go of your inner child. Pingback: #RP The Child In You | Real Talk, Hard Topics! I’d like a drop of whimsy in my coffee this morning, thanks. Nicely done. No, you were talking to the child in me. I saw it all! That is so good to know. I love this, time for a reverie. Soothes the adult in us and brings out the child. Cute. Adults do tend to get boring with age! Wow. This reminds me of Shel Silverstein, one of my all time favorites.